Her real and raw selfies inspire us to show off our beauty without worrying about the perfect angle or filter. 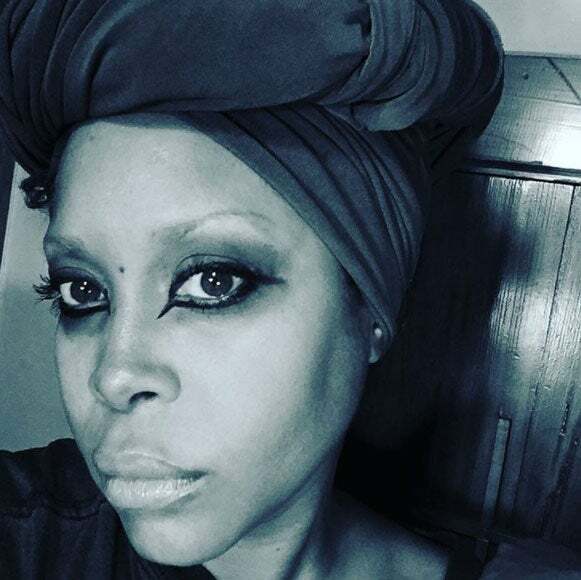 The eclectic and quirky soul known as Erykah Badu brings beauty not only to her music, but to her Instagram as well. 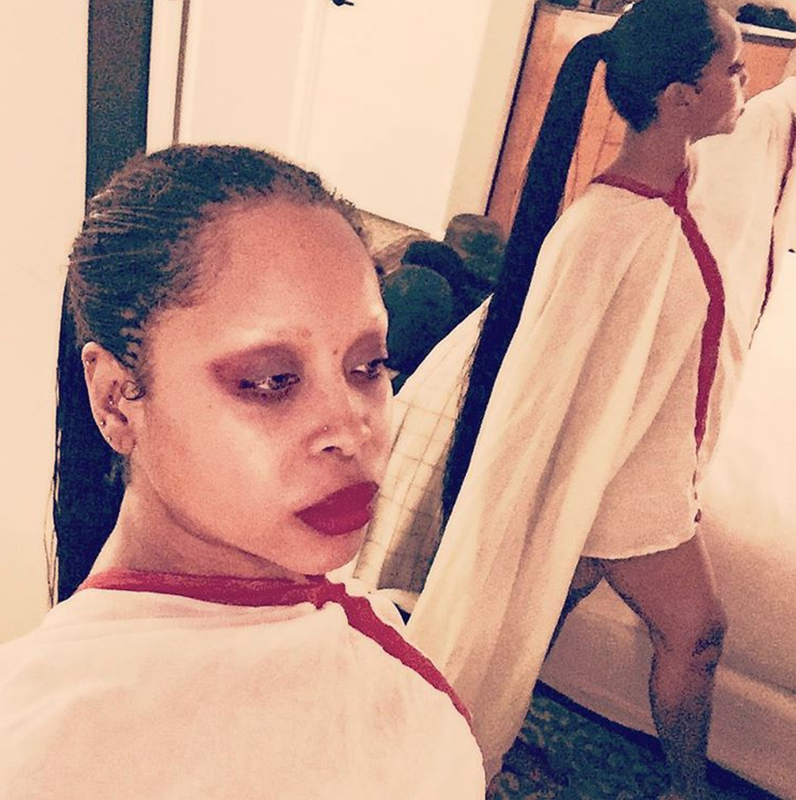 Having only joined the social media site in June of 2015, our ‘Black Women In Music’ honoree has blessed our timelines with some of the most bomb and unsurprisingly unique selfies we’ve ever seen. 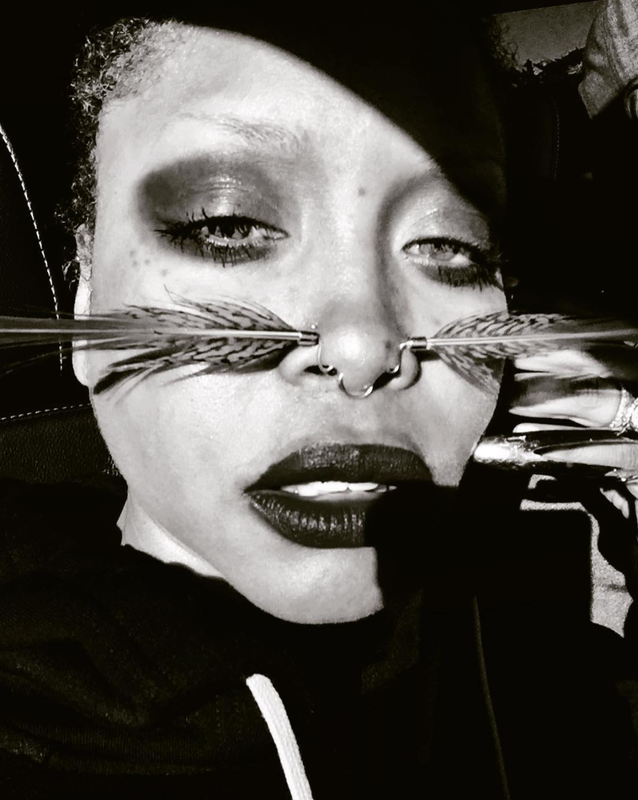 From rocking her natural grey hair to close ups of her dramatic and stylish nose rings, we’ve gotten rare glimpses into the more personal side of the elusive singer. 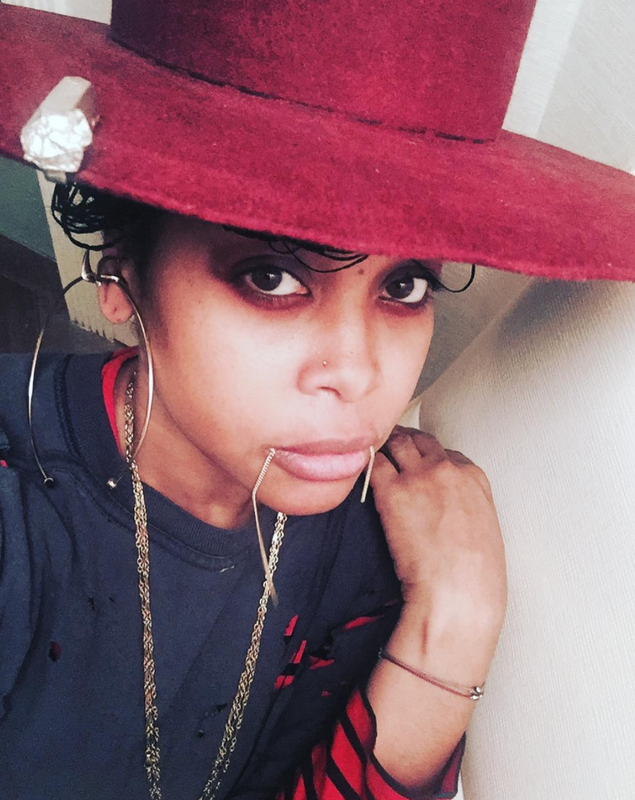 Erykah’s real and raw selfies inspire us to show off our beauty without worrying about the perfect angle or filter. 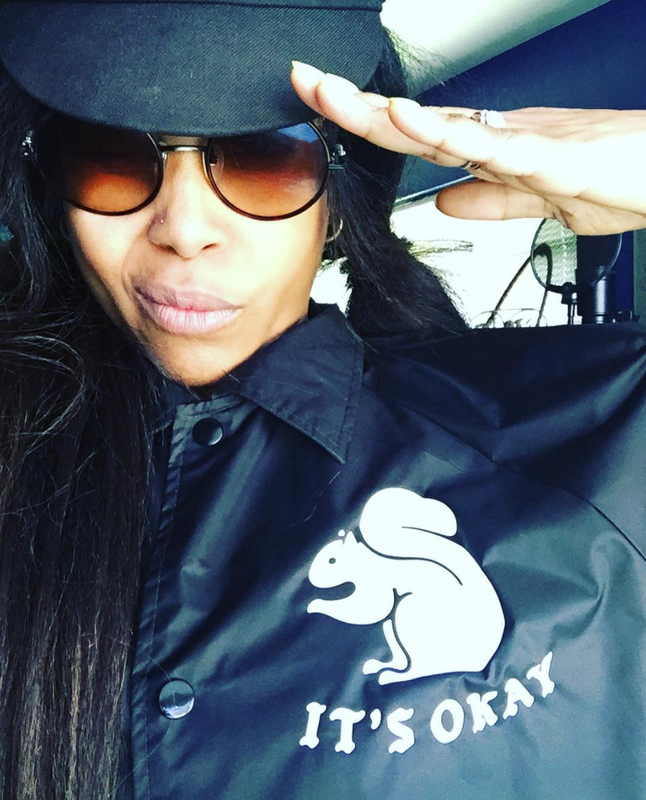 Here, we’ve listed some of the best flicks Erykah has posted on the ‘Gram. Let them touch your soul like they have ours. 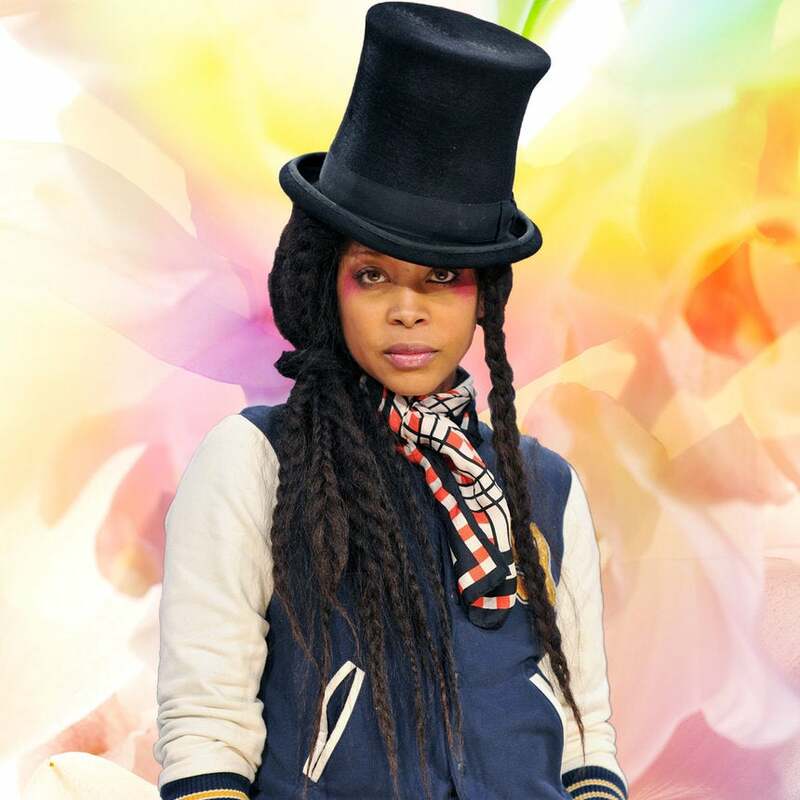 Erykah gets real about eliminating things in her life that stifle her, with an image of her looking ahead. 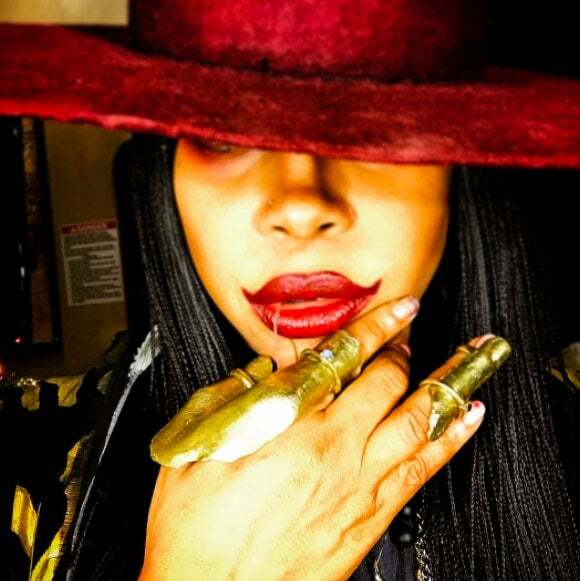 A bold red hat paired with glamorous red lipstick gives Ms. Badu us a seductive look. The blonde bombshell pairs her light hair with powerful purple shadow that make her green eyes stare deep into our soul. 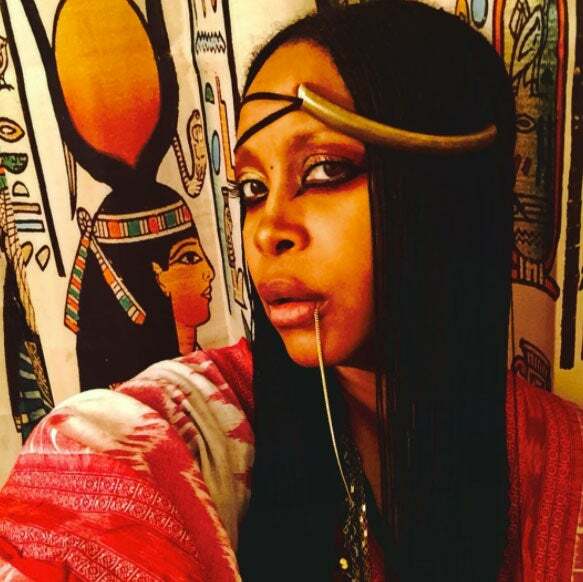 Here, Erykah brings us Boho realness with the headpiece and dangling lip ring with an Egyptian hieroglyphic background. Again with the red hat, but this time she pairs it with a short style and gives us a beautiful bare face. 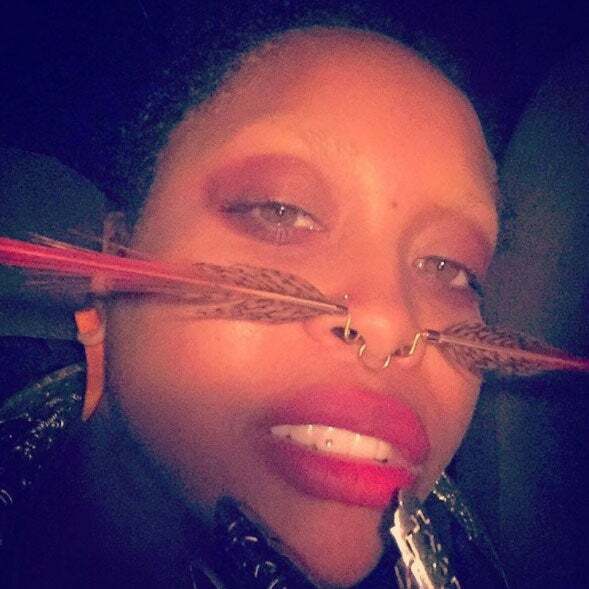 This two toned image of Erykah is just as striking as the arrow nose ring she rocks. This high contrast photo makes her twisted pigtails and pink eyeshadow pop. 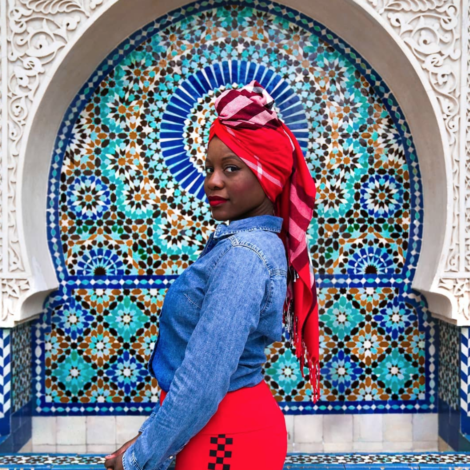 This fierce cat eye paired with her headwrap gives us simple and chic realness. She shows off her beaded bracelets that give us jewelry envy. 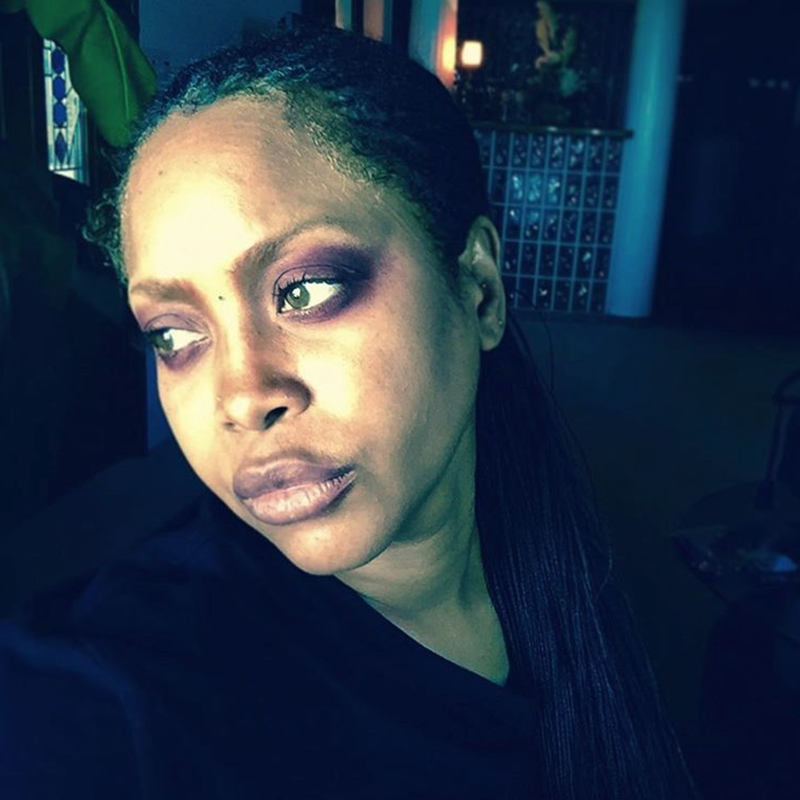 The purple eyeshadow stands out in this photo and makes Erykah’s eyes shine. 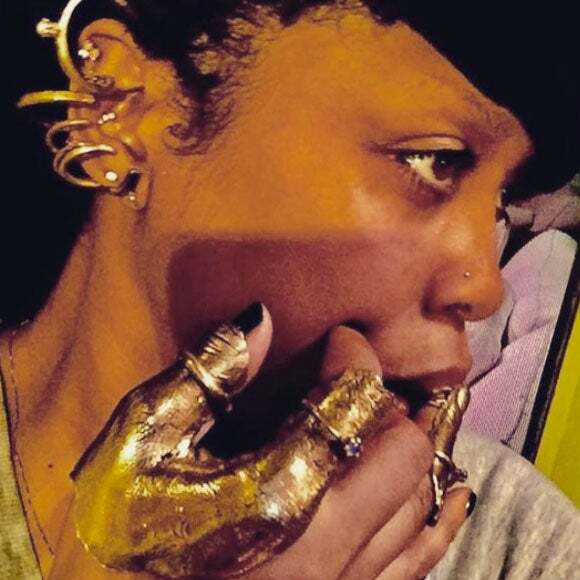 We love Erykah’s collection of arrow and feather nose rings, and this feathered one brings out her eclectic side. 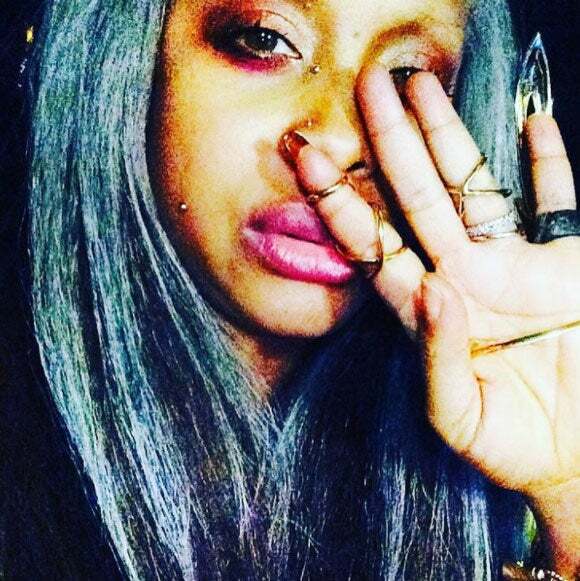 Her misty grey hair is everything. 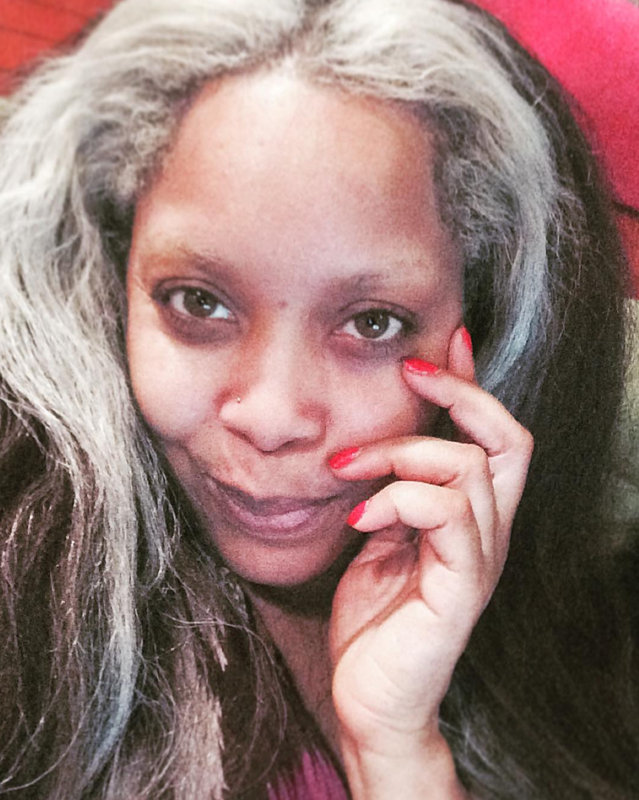 Erykah embraces her naturally graying hair in this picture. 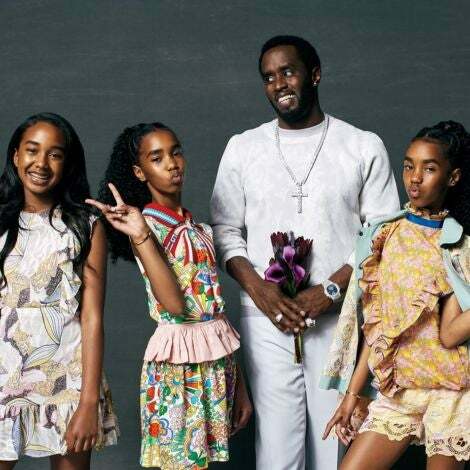 The salt and pepper look compliments her beautifully. 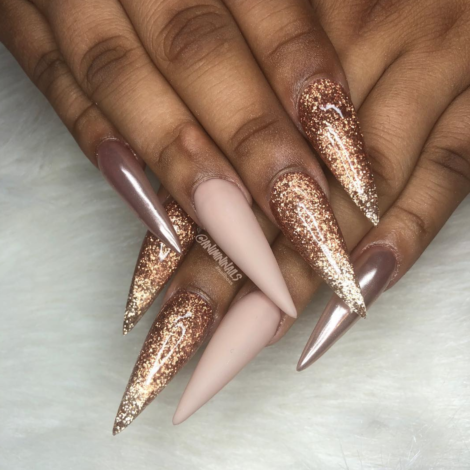 This mirrored image captures her unicorn-esque vibes. 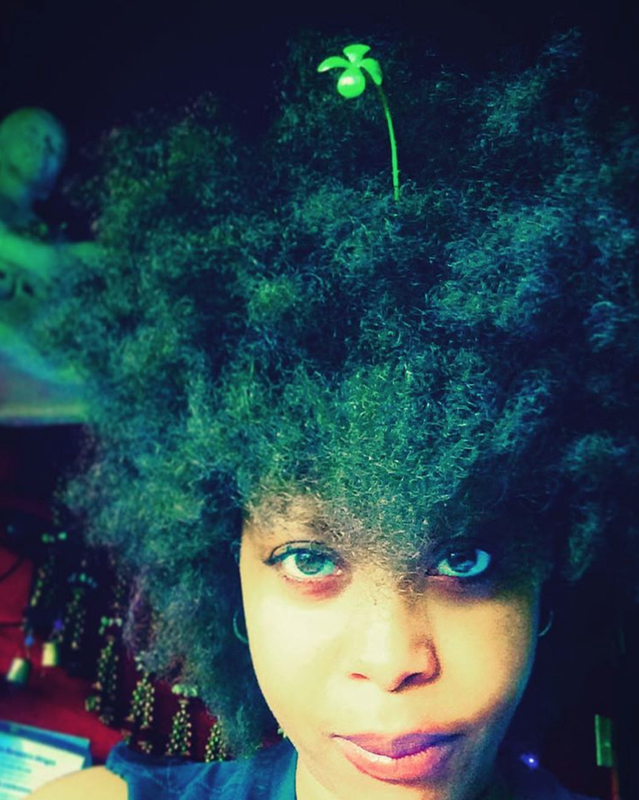 A big fro and clover is all the luck Erykah needs. 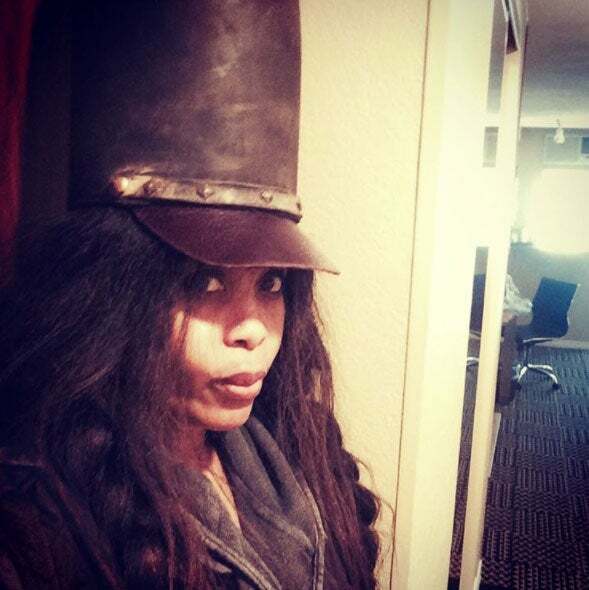 This hat commands attention and Erykah wears it well! 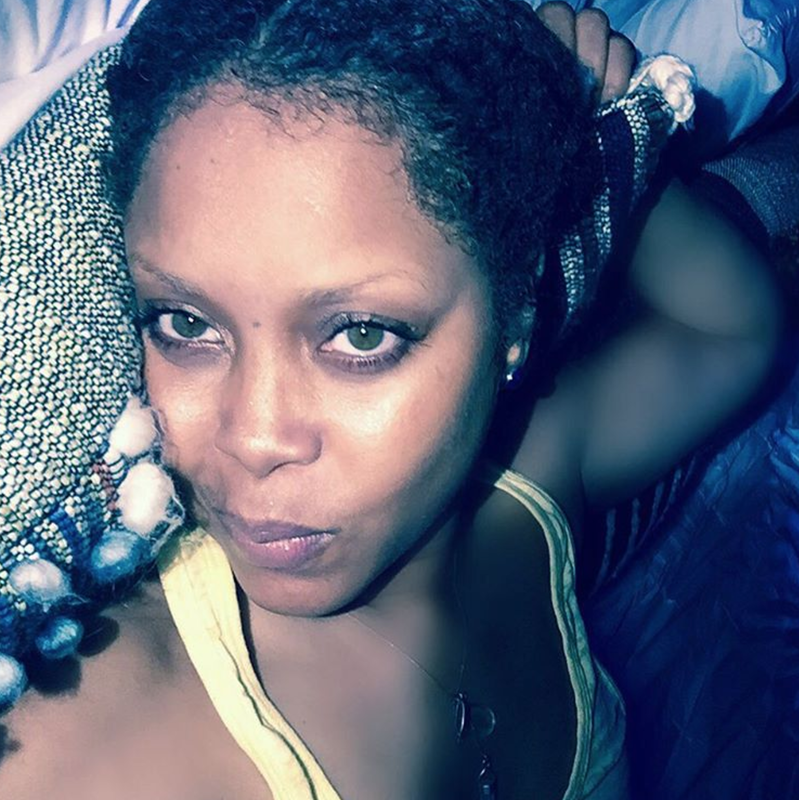 We’re loving this bare faced look from Erykah. 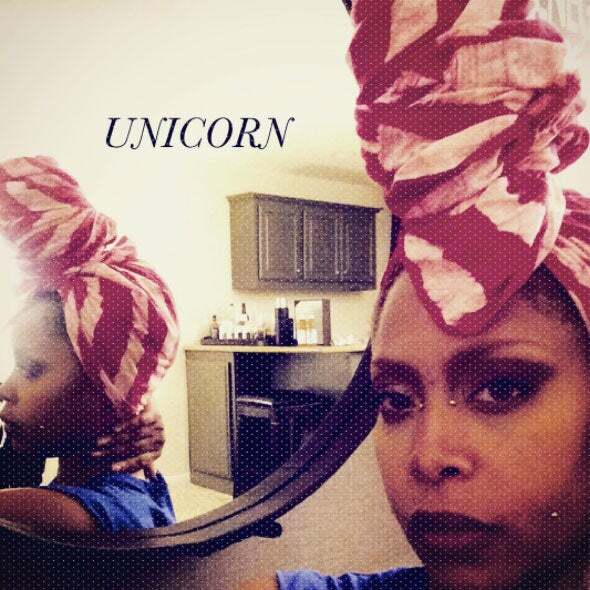 Erykah gives us a selfie shot by using a mirror to show off her gorgeous dress and long pony. 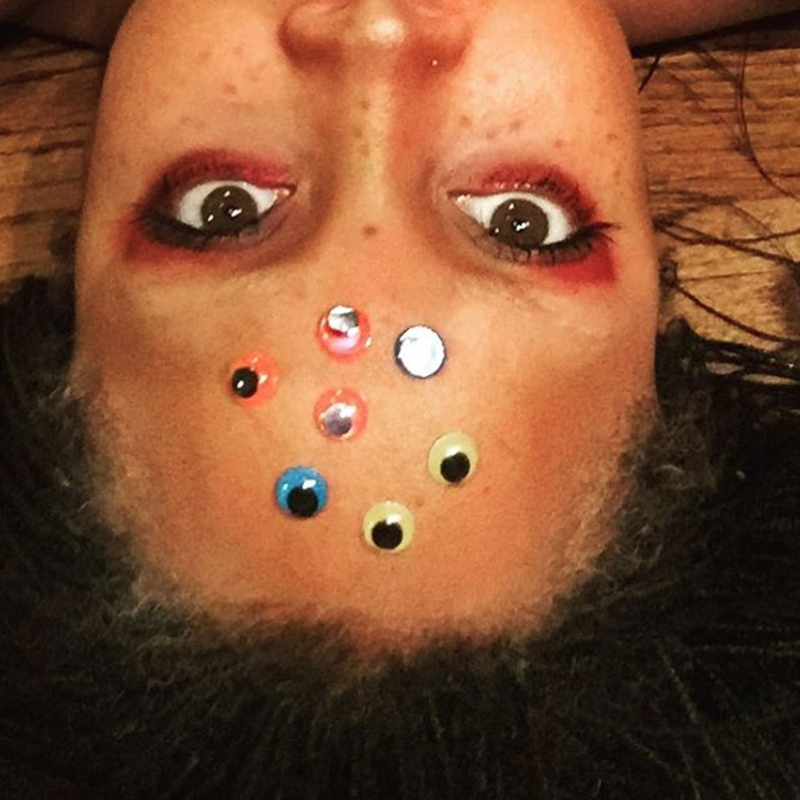 Erykah shows her quirky nature with a glimpse into her “9th Eye”.